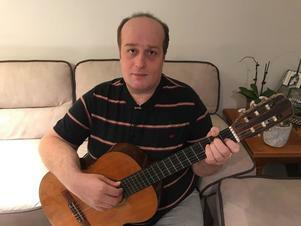 Brian is a musician that belongs to a small, but booming community and scene of “modern acoustic fingerstyle” guitarists all around the world. Essentially, modern fingerstyle guitar is the incorporation of extended playing techniques on the acoustic guitar including slapping, tapping, as well as hitting the body of the guitar to create different percussive sounds. All these techniques are blended in together to create all elements of a song (bass, melody, rhythm, drums) into the one solo arrangement. This allows him to approach playing the guitar and music holistically, and therefore adapt and change to all types of genres, styles and situations whenever needed! Last year during his world trip, Brian met and learnt from an number of renowned guitarists including the likes of Tommy Emmanuel, Don Ross, Andy McKee, Calum Graham, Antoine Dufour, Maneli Jamal and Mike Dawes. Located in Carlingford, Brian travels between Turramurra, Killara, Macquarie, the Hills District and Hornsby. 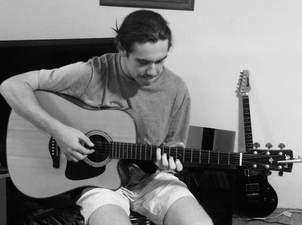 Lachlan is a passionate musician who has been playing guitar since the age of 10. More recently he has taken his skills over to the bass guitar and piano to compliment his musicianship. He is currently studying a Bachelor of Music at the Sydney Conservatorium of Music with a focus on contemporary music practice and composition. He has experience playing in various bands and ensemble groups covering a range of styles from folk to heavy rock to jazz. He spends most weekends playing gigs around Sydney. 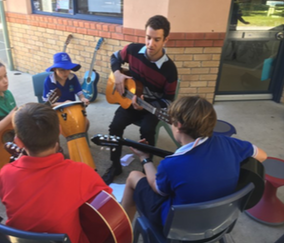 Lachlan loves sharing his knowledge and experience with his students and finds it very satisfying to see them develop whilst having a great time. 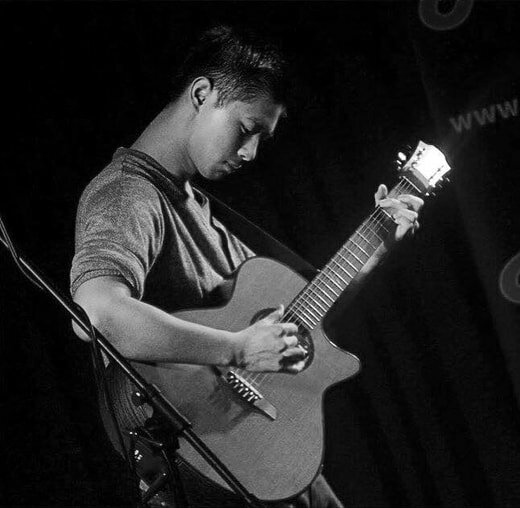 Brian Zhang is a musician that belongs to a small, but booming community and scene of “modern acoustic fingerstyle” guitarists all around the world. Essentially, modern fingerstyle guitar is the incorporation of extended playing techniques on the acoustic guitar including slapping, tapping, as well as hitting the body of the guitar to create different percussive sounds. All these techniques are blended in together to create all elements of a song (bass, melody, rhythm, drums) into the one solo arrangement. This allows him to approach playing the guitar and music holistically, and therefore adapt and change to all types of genres, styles and situations whenever needed! Last year during his world trip, Brian met and learnt from an number of renowned guitarists including the likes of Tommy Emmanuel, Don Ross, Andy McKee, Calum Graham, Antoine Dufour, Maneli Jamal and Mike Dawes. 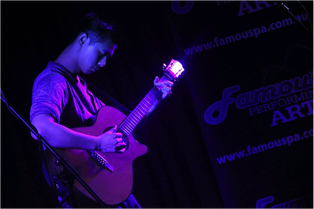 ​Since graduating high school in 2015, Brian has turned his attention to utilising fingerstyle as a means to create arrangements of his favourite songs, along with composing songs that personifies his life experiences and journey in musical form. 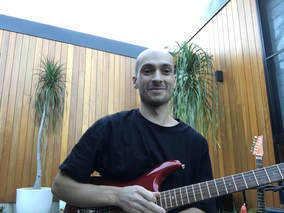 In 2016, Brian took a risk and opted not to accept an offer into university, but instead, began studying one on one with some of his biggest musical idols, whilst also dedicating more time to teaching aspiring guitarists around Sydney. In the winter of 2017, Brian set off on a world trip, travelling to countries including The Netherlands, England, USA and Canada, with the goal of meeting his biggest heroes and learning from them first hand, including the likes of Tommy Emmanuel, Don Ross, Andy McKee, Calum Graham, Antoine Dufour, Maneli Jamal and Mike Dawes. ​Belonging to a musical family with a father and grandfather who were professional musicians, Omid has had a natural inclination towards music from a very young age. This shows through his over 35 years of experience playing multiple instruments and his unfaltering passion for music both as a student and teacher. Omid's extensive experience with the guitar, piano and violin has provided him with a wide scope through, which he holds a large understanding of music. This has helped him greatly with his musical studies in high school and his completion of a music conservatory degree. Omid has over 20 years of experience teaching classical finger style, acoustic and electric guitar, violin and piano. Over the years he has been able to develop great techniques to teach these instruments as well of the concepts of bass, melody and rhythm in music. Teaching all ages, Omid is a very passionate teacher who always strives for the best from his students and always ensures their success. with a caramel cream cheese icing. on a chocolate mud cake base. in a chocolate tart shell. A moist flourless chocolate cake, topped with a rich chocolate ganache.